The way in which industrial activities are organised among firms is a fundamental theoretical concern. In practice, firms have found these matters, referred to as make-or-buy issues, difficult to analyse. 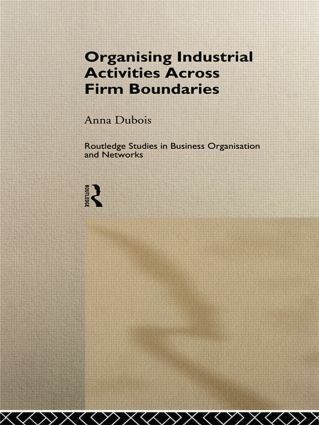 Organising Industrial Activities Across Firm Boundaries succeeds in combining an analysis of the theoretical background to such issues with an in-depth case study of the practical consequences and implications. The book is an important contribution to the literature on networks, business relationships, out-sourcing and the division of labour. New theories of the firm. It considers both the economic, cultural and environmental factors that govern the success and failure of business networks and organizations.